When youngsters reach a pinnacle it is always a pleasure to learn more about their lives and how they achieve their dreams. Once such youngster is Raghavi Vishwanath an alumni of FAIPS Kuwait. While in Kuwait along with her mother Mrs. Malini Vishwanath, the famous Carnatic Music exponent and guru of many students in Kuwait and abroad, Raghavi gave scintillating performances in Carnatic Music much to the pleasure of many music lovers in Kuwait. She completed her schooling in Kuwait in the year 2013 and went on to do her degree in law in premier institution in India. Just as she was completing her law due to her academic excellence she was invited to join colleges of international repute in law and economics. IIK too the opportunity to interview her and introduce her to especially the student fraternity in Kuwait as a motivation and also to expose new channels for their career. Read on this interesting interview to get an insight into lives of academically bright students and how they achieve their goals on life. Firstly, I’d like to thank Surya Uncle and IIK for approaching me. While I am not too sure whether I am the right person to approach, I do think that it is crucial for students to unabashedly consult their seniors and peers before making career choices. I hope that some of the young readers can benefit from my insights. I came to Kuwait as an expatriate in 1998, courtesy my father who got a job here. I studied at the Indian Community School, Kuwait until grade 8 and then moved to Fahaheel Al-Watanieh Indian Private School, Ahmadi. In both schools, I was an active member of the public speaking club and would even involve myself with the local Toastmaster club’s activities. Apart from public speaking, I would regularly perform at the cultural events at school and was quite passionate about quizzing and writing as well. In my free time, I’d follow professional tennis and dabble with painting, something I still do. In 2013, I decided to write the Common Law Admission Test (CLAT), the entrance exam for National Law Universities in India. 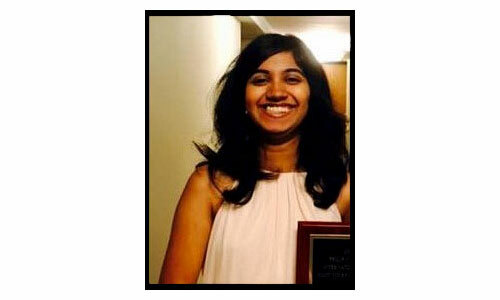 I secured an All India Rank of 153 and began pursuing the five-year integrated B.A LL.B (Hons.) course at National Law Institute University, Bhopal. I am currently on the verge of completing my under-graduation in Bhopal. 2.I remember your school principal make a special mention of you on many occasions. What is it that made you so dear in your school? I shared a really special bond with Anju Ma’am, my Principal at FAIPS. She continues to be someone I look up to for the way she overcomes all the challenges that life throws at her. Till date, she’s been a mentor and guide. I was also very close to my teachers. I had decided not to enroll myself in any tuition classes throughout school, which meant that I was completely relying on my teachers. I cannot begin to explain how grateful I am for the time and effort that they expended on me. In fact, I largely credit my school for helping me discover skills that I did not know I possessed and for making me push myself creatively and scholastically. The plethora of activities that I got to participate in really boosted my confidence levels and helped me develop critical thinking abilities, both of which came in handy in law school. 3.Your singing talent is much appreciated. One of our previous ambassadors to Kuwait made a special mention of you in his farewell interview to Indian community via IIK. The natural question is how did you develop this interest in music and attain such perfection in music? My mother, Mrs. Malini Viswanath, is a classical musician, as some of you would know. Through her ensemble Raag N Rhythm, she’s trained several students and invited artists from India to perform in Kuwait. Right from the time I moved to Kuwait, I would always find myself sitting through my mother’s classes and listening to her sing. It was only later when she found me recalling the compositions and melodies that she had been teaching, that she decided to train me formally. As I grew older, I started taking my musical talents more seriously. Luckily enough for me, I found several opportunities to explore my musical tastes in Kuwait – by being able to interact with and perform for renowned musicians such as Smt. Bombay Jayashri and even collaborate with artists from various countries. These experiences made me appreciate the nuances of classical music (both academically and musically), value its rich legacy and even take liberties to re-interpret it. However, more importantly, I became cognizant of the transformative power of the arts and how it could be used to bridge socially constructed divisions (in fact, I used my music to connect with several children in villages close to my University as part of the activities of a social welfare organization called PULER, that I presently lead in Bhopal). Classical music, just like any other fine art, requires several years of practice, perseverance and unwavering dedication. Owing to my academic schedule, I haven’t been able to devote enough time to music in the past five years. However, I continue to take music lessons from my Guru Smt. Sugandha Kalamegham in Chennai and perform concerts. More often than not, I have found solace in my music even in the midst of the immense workload in college and I’m glad that I have music as a constant leveler. 4.You are a topper in studies. Please let us know how do you plan your studies? Any peer pressure? Right from school, I have endeavored to balance my academics with the co-curricular and extra-curricular activities that I regularly indulge in. This balance became a lot harder to achieve in college. There were times when I would find myself juggling various commitments (nearly every trimester!). I must confess that I did have a cost to pay and some trimesters didn’t work very well for me on the academic front. Luckily, I would regularly maintain a schedule and keep re-organizing how much time I could afford to devote to each of these activities as and when I took them on. As a result, I managed not to rush through these commitments and simultaneously also made up for my lost grades. I also have a wonderful study group with two of my close friends. It really helps because that way we would end up teaching each other and retain concepts better. And this study group became the best coping mechanism for any sort of peer pressure. Law schools can get really competitive and it helps to have a friend group that shares similar goals. I cannot emphasize enough on the advantages of doing well in academics. Most Universities give a lot of weightage to your grades. In hindsight, I now realize how crucial it is to develop an academic inclination early on in law school (and any other University for that matter), something that’s often ignored. 5.You achieved a pinnacle – invitation to study and pursue Masters in world’s top three colleges in law. Share your thoughts on your success story. I have been accepted to the Bachelor of Civil Law course at the University of Oxford and the Master of Law course at the London School of Economics, Graduate Institute-Geneva and the University College, London. All these courses are fully taught, one-year long postgraduate degree programmes. While it’s immensely relieving to have options to choose from, I must confess that the process was not easy. I had decided not to sit for campus placements in my third year at law school since I wasn’t interested in corporate or commercial law and began planning to apply for my masters towards the end of my fourth year. It took me a while to clearly identify the areas of law that I wanted to specialize in. In my initial years at school, I majorly worked on municipal laws and policies. This made me cognizant of the gulf between law in theory and law in action. Therefore, I turned to find answers in international law. I was exposed to a lot of contemporary academic and pragmatic challenges in international law through my participation in the Philip C. Jessup Moot Court Competition in Washington (which is touted as one of the prestigious moot court competitions for law students) and the international criminal law course that I attended at The Hague, amongst other things. This exposure piqued my interest in exploring international human rights law and international criminal law, both of which subjects that I see myself working with in my masters course. Once I had identified the subjects that I wanted to pursue my masters in, I spent the remainder of my time in preparing my application itself. The process is quite strenuous – it requires a statement of purpose, strong recommendation letters (primarily academic referees) and for some others, even academic writing samples. Luckily for me, most of my Professors were kind enough to write recommendation letters themselves. I could direct all my energies towards the statement of purpose. The selectors are usually looking for a cogent story which includes details about the candidate’s background, what you are presently studying, why did you decide to pursue post-graduation, why did you choose that University in particular, your long-term goals, any specific research questions that you have identified and how you as a candidate will be an asset to the University. It would be remiss if I did not mention that the success of an application is largely contingent on the quality of the rest of the applicant pool. Therefore, even a rejection isn’t reflective of the candidate’s caliber or skill-set. Particularly for me, I think my choice of specializations was niche. Fortunately, I had been exposed to these areas of law through the competitions that I had participated in. More importantly, my work experience with think tanks like the Vidhi Centre for Legal Policy, research wings in governmental bodies and my association with projects such as the Columbia University’s Global Freedom of Expression project, added a lot of credibility to my resume. In addition, I had done a significant amount of community service through my involvement with NGOs in Bhopal and the student-run organization called PULER that I have been associated with for the past five years. 6.Your plans after your Masters? Your music will accompany you as well? As of now, I plan to pursue doctoral studies after my masters and possibly enter academia. I will definitely continue learning music. I’m still considering a full-time career in music, once I have obtained my DPhil. 7.This career option is not so famous among children and parents. How did you make this choice? It is true that law has thus far not been a conventional career choice for most students. I was extremely fascinated by the discipline right from grade 8, when I read Christie’s And Then There Were None. This was around the same time that I developed a liking for subjects like civics and took to debating. Once I commenced high school, though I was pursuing the science with economics stream, I realized that law was my calling. More so because I found it to be the most effective, powerful and emancipatory harbinger of the social change that I was interested in initiating. I must confess that this decision was also motivated by the fact that I did not consider myself suitable for any of the mainstream career options. And I do not regret it at all. For everyone who hasn’t decided yet, law is truly a wonderful subject to pursue, laden with diverse career opportunities, whether it is academia or public policy or litigation or firms or even legal entrepreneurship. Just like the sciences, law is constantly evolving and almost daily, you have new jurisprudence being created in some part of the world, all of which is very exciting. There is a dearth of good lawyers across the world and young law graduates are just breaking through the erstwhile emphasis on pedigree in the legal fraternity. So this is an opportune time to be entering the field. 8.Could you share the traits the school children should have? At the outset, I have to admit that school students today have the privilege to avail of the best of opportunities. Therefore, there is no dearth of either infrastructure or exposure. What we need is for students to use these opportunities wisely. School students should try to break out of their shell and be as out-going as possible. This will teach you how to prioritize, something most people struggle with even in college. At the same time, it’ll equip you to fend for opportunities yourself, even if the college does not have the infrastructure to cater to your individual development. In terms of pointers, my first suggestion would be to focus on the concepts. Especially with subjects like law, we realize much later that most of the subject is analogy-based and principle-based. I am confident that this is true for most other disciplines as well. Schools and students must therefore re-orient the thrust of academics towards practical application of theoretical concepts. Secondly, I’d recommend that students proactively indulge in co-curricular activities. There may be times when the skills you derive from these activities may help you approach a conventional question differently. 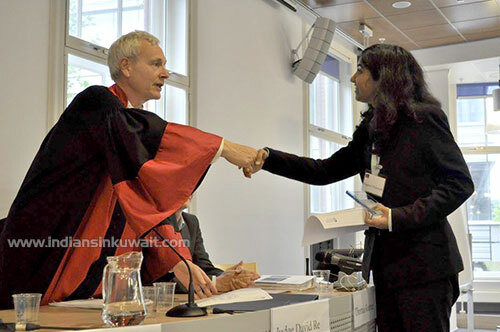 In law school for example, we have simulated courtroom situations called moot court competitions which require students to develop arguments for a fictitious dispute (mostly based on real-life litigations). These activities have become really popular amongst law students, for good reason. They requires you to think off your feet and equip you to make creative but technically sound arguments, which your textbooks or University curriculum may not expose you to. Thirdly, remain connected with your peers and seniors. As I had stated earlier, it helps to be able to take advice from those who’ve gone through the drill and charted a career path for themselves. Fourthly, read as much as possible. Devote some time to follow the news and to read editorials regularly. Regardless of which field you decide to pursue, it always help if you are socially aware and can engage in constructive debates. In fact, that way you’ll also be abreast with the developments in your areas of interest. Fifthly, cultivate a hobby or find something you’re passionate about. And make sure you revisit it while you’re in college. It may even become something you are identified by and you may want to develop on it professionally. On a concluding note, I have to say that while setting goals is important, don’t do it at the cost of the wonderful, lasting memories that school and college life are meant to create. Enjoy each phase to the fullest. Surya S. Prakash is an engineer by profession and a passionate public speaker. He voluntarily guides both children and adults in the art of public speaking. He is a motivational public speaker and has been invited by many alumni associations in Kuwait to deliver motivational speeches on Stress Management, Work Ethics. He is presently mentoring English public speaking clubs for children. He is also an editor for some public portals. Sathya Prakash''s questions addressed to Ragahavi are in context and meant to bring out the whole of what Raghavi is made of-her inner strength,her mettle, the material of which she is made. Raghavi''s responses are spontaneous and exemplary, to say the least.This budding legal luminary has,unlike many of us, all the time for her studies,for art, games,music and what not.She is glory, personified, as it were when she is as yet budding.Her genius is waiting to blossom into fully grown flowers of unseen fragrance.We shall find it necessary, then to crown her with a jewelled crest.